This Friday morning has not started in the best way possible. As many already know, at 9.30 a train has derailed near the station of Porrino leaving at least four dead and about 50 people injured, and they were traveling 69 passengers (including the driver himself and the controller). This is the so-called Celtic Train, an international train operating by the Portuguese company Combois jointly with Renfe connecting the cities of Vigo and Porto and said that most passengers are of Portuguese origin. The route of the Celtic Train passes through some places of the Portuguese Way (which born in Lisbon and dies in Santiago de Compostela). For this reason it has always been a popular transport between Portuguese and Galician pilgrims who choose this route of pilgrimage to reach Santiago, either to return to Portugal or to start the Camino in Portuguese lands. Celtic Train stops have been many changes in recent years; today, in addition to stopping in Porto and Vigo, it does so only in the towns of Nine, Viana do Castelo and Valença do Minho. Being about to close the service on several occasions in recent years by Combois by the low number of passengers using the service, the Celtic Train can cover the distance between Porto and Vigo at 2.15 hours for about 15 euros a ticket. 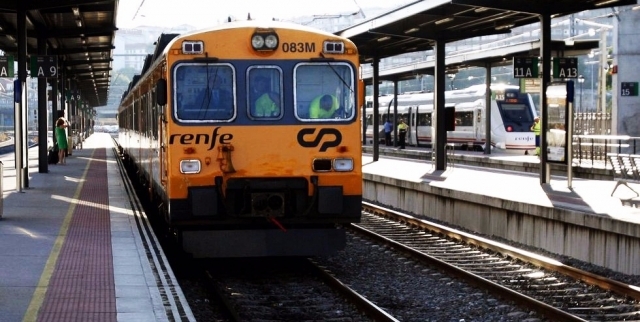 Otro tren más que se accidenta en Galicia. Habrá que ver qué lo causó, pero esta claro que líneas y trenes necesitan una renovación ya. Mis condolencias a las familias de las victimas.